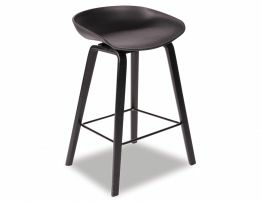 With classic clean lines and a mix of materials, this unique modern counter stool offers an on-trend blend of Walnut stained American ash wood, a black molded shell seat and stable black steel footrest. 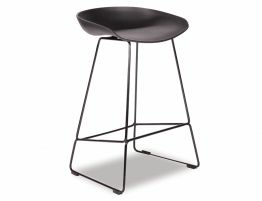 The Kobe contemporary kitchen barstool is a sturdy and supportive stool that provides comfortable, stylish and practical bar seating for your counter height dining, breakfast nook, bar and more. 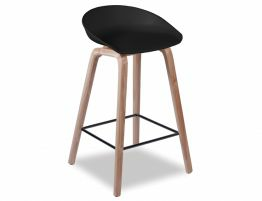 The design of this solid ash walnut wood bar stool is one of laid back, casual style and clean lines. 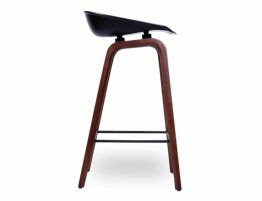 The curved molded shell seat provides comfort and support, while the Walnut ash wood frame offers a warmth that is suitable in a variety of interiors. 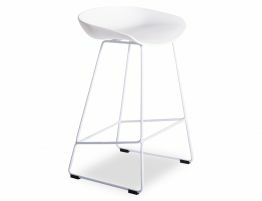 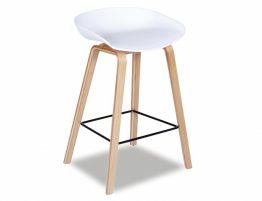 The pared down look of the Kobe Contemporary kitchen barstool makes it a great fit for subtle rustic interiors, clean and minimalist modern spaces & chic spaces. 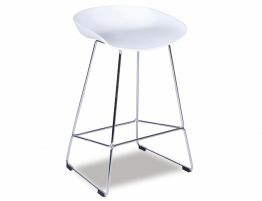 Update your old barstools with these modern counter stools.